Yet, despite the blight of a few bad examples, good practice will always cascade down from achievers of excellence to those aspiring to do better. Fortunately, caring appeals to those with a naturally caring disposition – and can lead to a rewarding career within the industry. Amy Burt entered the world of care homes almost by accident 25 years ago. Then a young mum of 19, she was told a home was seeking staff. “I was not actively looking for a job, but thought: ‘why not, maybe I could help out for a bit,” she says. Down the years, working in a number of residential homes, and also being involved with dementia patients, Amy has seen many improvements. “In the early days, you didn’t do an induction. You just went in and did your best, but the staff was always kind,” she recalls. “I wanted to learn more, and understand a bit more about people because I wanted to do a better job. It is about connecting and hoping that you have made a difference.” Through dedication and a passion for what she does, Amy has risen through the ranks to become General Manager of Doveleigh Care, a company that runs three homes in East Devon. They are the top three in the county – and also in the Top 20 for the South West. 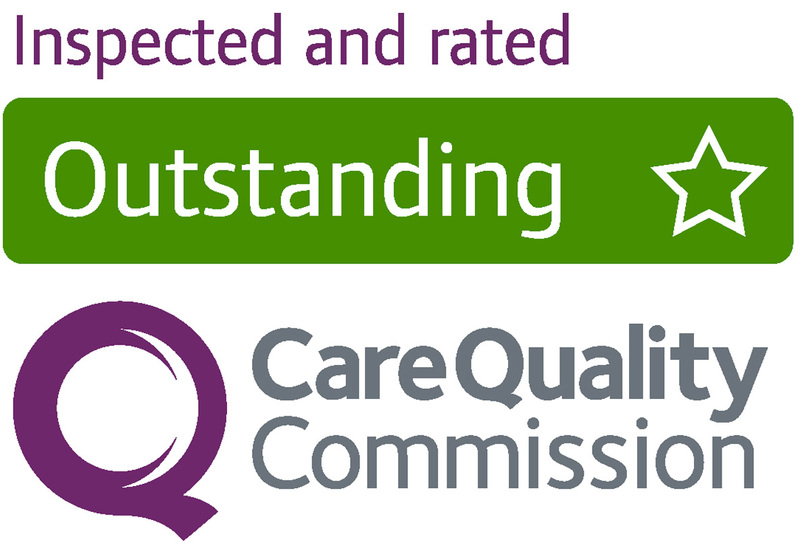 They have been inspected by CQC and all rated ‘Outstanding’. 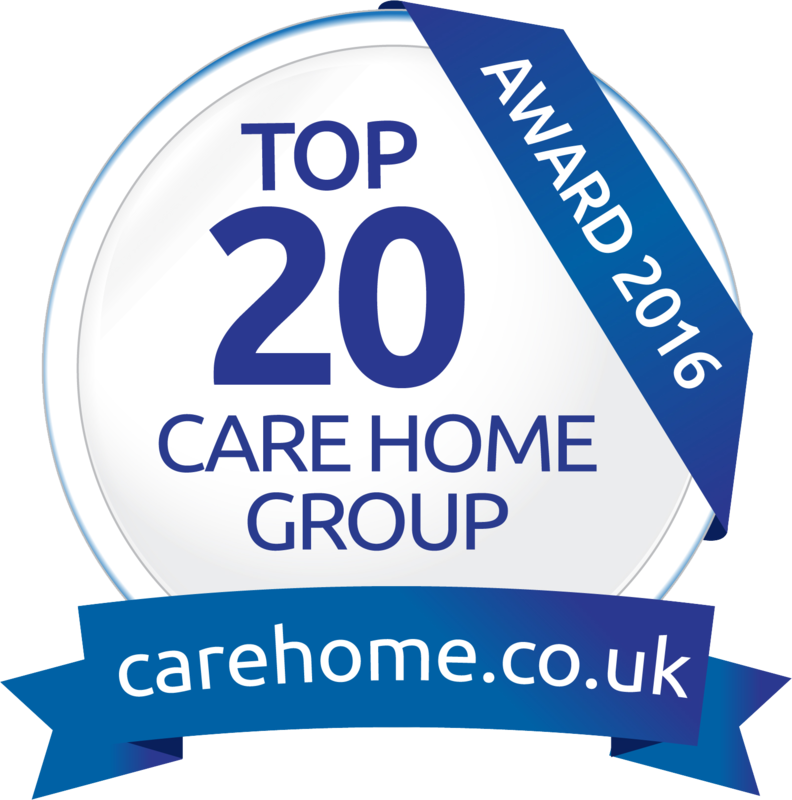 “This is an enormous accomplishment – less than 1% of care homes in the country have achieved this rating,” says Amy. “I am so proud to be a part of the team that is making such a positive impact on the lives of the people who live, work and visit each home.” We are chatting in the sunlit conservatory of Dove Court at Seaton – a care home of 32 residents and some 25 staff. Outside, the patio is bordered by a dazzle of summer flowers. Beyond is a panoramic view of the River Axe. Enjoying their lunch of chicken Kiev with a glass of white wine are 91- year-old Jules, and Nicky who is ten years’ her senior. The conversation is a delight of reminiscence and gentle banter. Jules was married to a naval officer and has lived around the world. So coming to Dove Court, chosen by her daughters, was a relatively easy move. She looks younger than her years. “It must be a good advertisement for this place,” she laughs. “Some of us do exercises. We all give a sigh at the thought – but we enjoy doing them. “I’m a happy customer, we are very well looked after, but on the whole, I’m a happy person. It’s sad if you are grumpy. Very grumpy people will always be grumpy–it’s their personality.” Nicky has a slight quibble over the 1920s background music. “I like something with a bit more beat to it – you cannot go wrong with the Beatles,” she says. However, her number one song is Stardust – composed by Hoagy Carmichael, and a popular tune of its day when Nicky was about nine. “It’s my favorite music – I intend to have it at my funeral!” She proudly mentions she has an orchid in her room which she has had to move from the window because it doesn’t like direct sunlight. “I have five picture albums of my whole life under my bed – including me in my first party dress.” Nicky has temporarily mislaid a book – which has her bookmarker in it. “A girl cannot live without a bookmark because you are always getting interrupted,” she quips, before heading off to watch the tennis on TV. Amy says the staff are a home’s “best asset”, but appreciates the work is not highly paid. “I don’t think people come into it for the money because you will never be rich being a carer. It is the job satisfaction,” she says. Paradoxically, Amy believes, if there were big wages, people would come for the money and the care would go. “Carers are asked to love someone like they would love their own. It is a big responsibility because relatives are handing over the person they most love to strangers and hoping they are going to be safe,” she says. “We have a zero tolerance for abuse – these are vulnerable adults,” says Amy, who is horrified that undercover cameras can still find footage of abuse. “The industry still has not always got it right. As carers we are proud of what we do – but people think all you do is wipe bums all day.” The daily routine begins at 7am with breakfast being prepared. Residents are helped with showering and washing, and medication is given. There is coffee at 10am and lunch at 12.30. “At 3pm there is afternoon tea and homemade cakes,then at 5pm there is the option of something hot or a sandwich – and there are evening snacks. It’s like a constant eating fest!” jokes Amy. She says the home has its rules and structure, otherwise it would be chaotic. Residents are monitored to see if anyone needs a bit of extra care. The cross section of residents has included a Spitfire test pilot, Land Army Girls, teachers, nurses – and some who were full-time mums. “Listening to them all over the years has helped me become a better person because they have taught me things that have made me grow,” says Amy. “We are not here to change people but to listen and walk in their shoes – and sometimes agree that life has given them a bad hand, and seeing what can we do to make it better.” Amy recognises that coming into a care home is a huge move for people. “They don’t want to come unless they have a positive experience,” she says. The staff will listen to everyone’s fears and try and make things easier by helping them come to terms with things. “They have all had some form of hardship,” says Amy. “But they come to trust us – and the staff are like a second family. “If we didn’t see them as people you would never getthatfeeling. You treat them like you would your mother.” Care and compassion is an important attribute required when recruiting new staff. “You can teach anyone Health and Safety, but you have to know if someone has empathy – and that will come through in an interview,” says Amy. Based on her own experience, and those of the colleagues she works with, she would recommend anyone considering care as a rewarding career to contact a nearby care home and find out more.